Email marketing remains one of the best and most effective ways to connect with your target audience. It holds many benefits including improving your brand, increasing your revenue and creating an instant impact, all in a cost-effective way. Email marketing is especially beneficial for small businesses. However, small business owners often do not have the time or knowledge to run an effective email campaign. This is where an email service comes in. Here are some of the best benefits you can get when you use an email marketing service. Most email marketing services have an extensive library of pre-designed templates from which to choose. You can pick the one that suits your needs the most without having to go to the effort of designing a template yourself. So, you get a professional-looking template and save time and effort by letting someone else do the hard work for you. But, picking a pre-designed template does not mean your emails will look cookie-cutter. You can customize these templates so the emails you send will look exclusive to your business. Managing your email list is an essential part of successful email marketing. It can also consume lots of time. When you use an email marketing service, they take care of the work for you. Your list will be managed automatically without you needing to lift a finger. So, whenever a name needs to be added or subtracted, you do not need to stop whatever you are working on to take care of it. The service will integrate the change immediately. So, you can spend your time worrying about other aspects of your business. 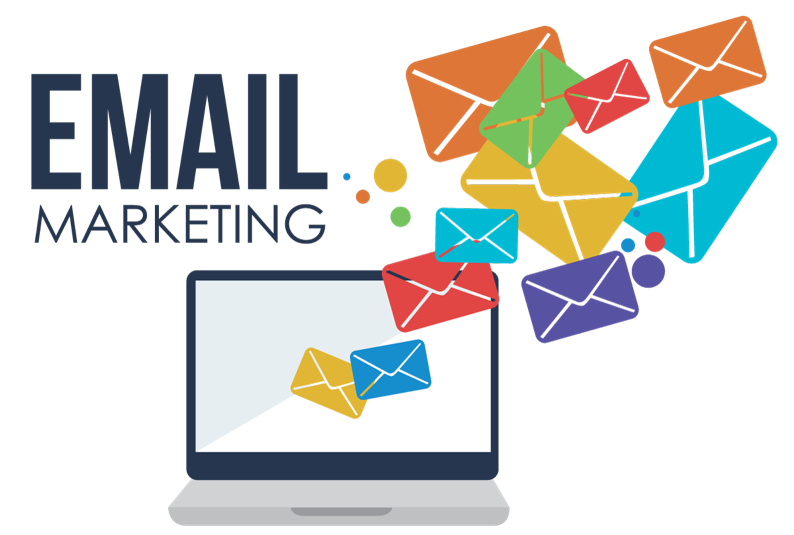 One of the reasons email marketing is effective is because the data it produces can be analyzed and acted upon fairly easily. But, the work still needs to get done. When you use an email service, the analysis gets done for you, and in a fraction of the time. An email service can give you information on critical data like open-rates, subject life efficacy, click-rates and many other statistics that can help you propel your business. Using an email server like Gmail or Yahoo simply does not cut it for a professional email campaign. If you have your own domain account attached to your business, you may fare slightly better, but it is still not ideal. Both of these choices are not designed for mass email marketing, and you will run the danger of having your messages marked as spam. You may even have your IP address blacklisted by ISPs if you get flagged as spam too many times, which can have a negative effect on your everyday business emails as well. The trouble it can cause is simply not worth any possible benefits you can derive from it. Using an email marketing service eliminates these hazards so you can continue to keep your IP address safe and out of trouble. Using an email marketing service allows you to personalize all the messages you send out. Whereas periodic newsletters do not need to be personalized, other types of email marketing should be. Using an email marketing service makes it possible for you to send drip emails that are addressed to specific customers and other recipients. This small addition makes the email recipient feel special, which can be the tipping factor for doing business with your company. It can be frustrating to send out emails only to get no response back. It can make you wonder if the messages ever made it to its intended recipients. Sending email messages out on your own is a crapshoot. But, when you implement the use of an email service, those worries go out the door. Email marketing services are approved bulk mailers. The services have strong permission policies and anti-blocking tools in place, so they have a much higher deliverability rate than you can achieve on your own. Despite the importance of running successful email marketing campaigns, sending out emails on your own can be a huge headache. Between keeping the list updated, creating messages, sending them out, tracking the data and all the other responsibilities that go with it, sending out marketing emails on your own can be a huge hassle. At the end of the day, you likely will not do a better job or get better results than you will by using an email service. When you use an email marketing service, the hard work is done for you. All you need to do is sit back and reap the rewards.